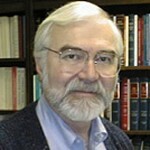 Professor Wilkins has been teaching torts and a variety of other subjects since 1974. He has written for several legal periodicals on the subjects of torts, legislation, law and medicine, law and technology and local government law. While on sabbatical leave from Indiana University in 1987 he was a visiting professor on the Faculty of Law at Monash University in Melbourne, Australia. He served as Associate Dean for Academic Affairs at IU 1988-90, and as Director of the Program for Management of Legal Information Systems 1997-2000. He was founding editor and webmaster of the law school Web site and wrote the first fully electronic textbook used at the law school. He received his B.A. degree from The Ohio State University, his J.D. degree from Capital University Law School, and his LL.M. from the University of Texas. While at Texas, he served as a teaching assistant to the chair of the Business Law Department and assisted in editing the Business Law Journal. He currently teaches courses in torts, medical malpractice and remedies.